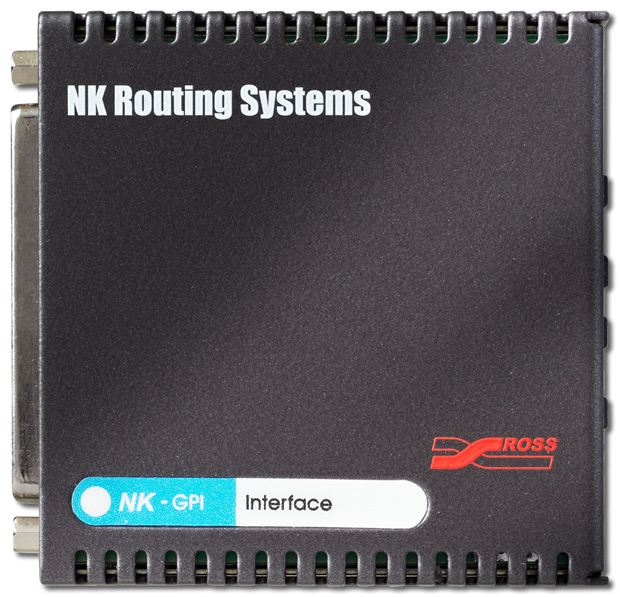 The NK-GPI is a stand-alone, universal, general purpose interface for the Ross Video NK Series family of routers. Providing both GPI inputs and outputs, the NK-GPI enables flexible GPI control, configured from a web browser or the DashBoard Control System, via the NK-IPS. The NK-GPI also supports both GPI input return and latch modes.